The revival of R.B.I. Baseball will hit Xbox 360, PS3 and mobile on April 10, says Darren Rovell,despite MLB having not yet revealed any information about the game—no videos, no screenshots, nothing— aside from its title. PC, Xbox One and PS4 versions are also expected. iPhone owners should have an easier time getting around the ballpark this season. Following a trial run last year, Major League Baseball is now deploying Bluetooth-based iBeacons at its stadiums. If you use the MLB At the Ballpark app, your iOS 7-equipped device will receive notifications as you visit different points at a given venue. MLB isn't yet saying just what those notices will involve, although the pilot project helped fans find their seats, score discounts and queue up videos. 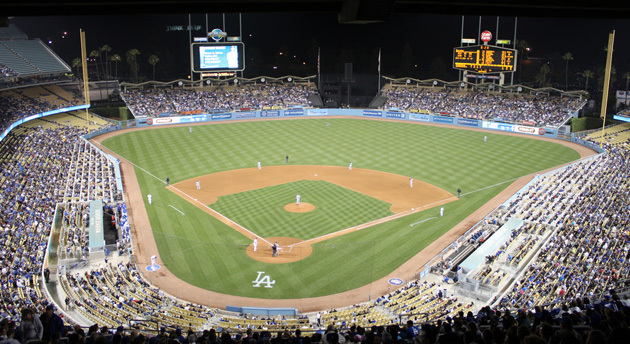 Only Los Angeles' Dodger Stadium and San Diego's Petco Park have the iBeacons so far. However, the league promises that more than 20 parks will have iBeacons when the season starts -- odds are that your home team will be ready on opening day.